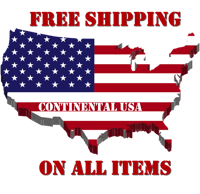 Purchase this item now and earn 1,494 Puff Points! 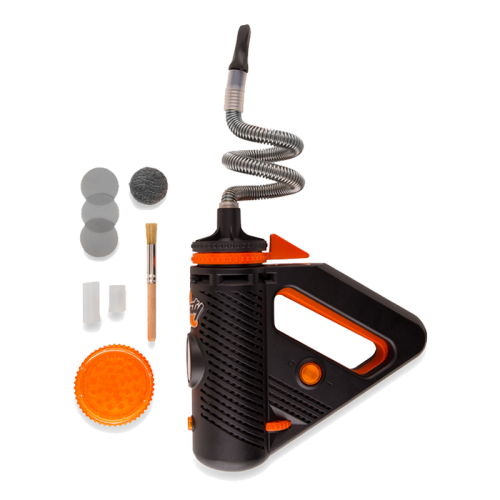 The Plenty Vaporizer by Storz & Bickel, the same company that brought us the Volcano, is a powerful and robust, yet silent and lightweight handheld vaporizer that is ideal for home use. It offers first-class design and produces large amounts of flavorful vapor. Incorporates several cutting-edge thermal engineering features that enhance the vaporization experience, maximizing flavor and efficiency. The stainless steel whip effectively cools vapor as it passes from the heating chamber to the user, which prevents hot air from masking delicate flavors. 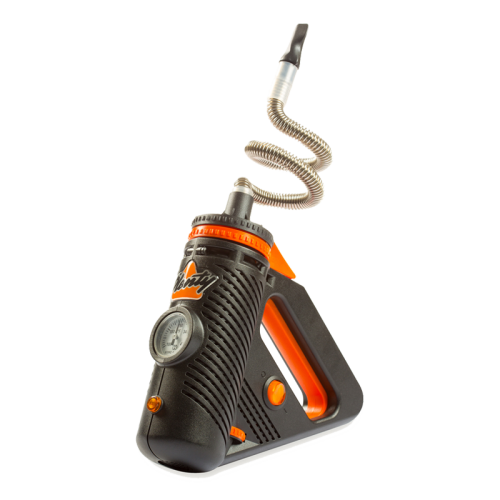 The all-new double helix heat exchanger is a ground-breaking thermodynamic feature that heats up in half the time of the Volcano, and maintains a static temperature while the user draws from the whip. 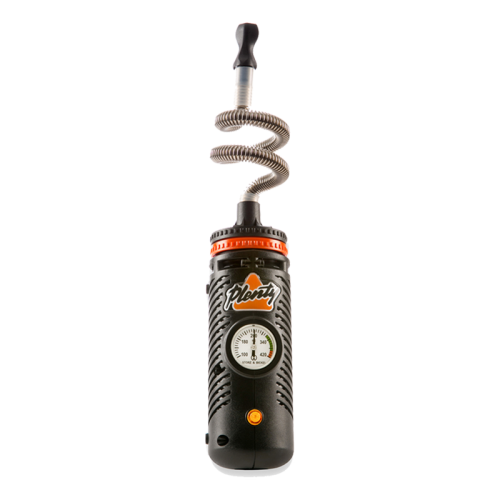 Hand-crafted in Germany by Storz & Bickel and is constructed of top quality materials, ensuring first-rate durability and functionality. Storz & Bickel uses only food-safe and aroma-free materials in the construction of their products. The Plenty’s vapor quality is similar to the Volcano: dense, flavorful, and pure. The Plenty’s effective vapor production system makes for an enjoyable experience without the learning curve or multitude of components found in other vaporizers. Simply load your blends in Plenty’s filling chamber, select your desired temperature on the Temperature Adjustment Wheel, engage the heater, and enjoy high quality vapor! How does The Plenty Vaporizer works? 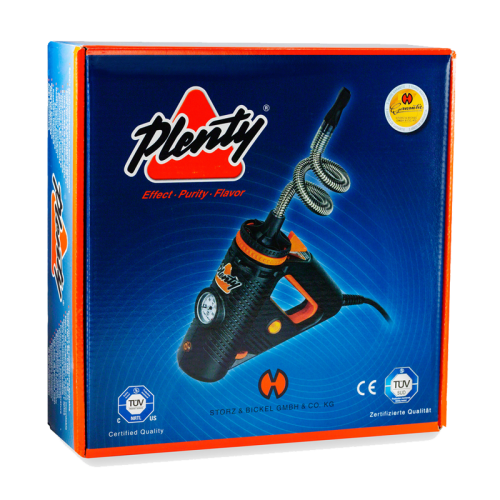 The Plenty vape is easy to use, taking just a few moments to heat before delivering smooth, potent vapor. It is recommended that you first pack your product inside the chamber, connect the coil, then take the unit and screw your product chamber and coil onto the top. After you’ve set your temp with the dial, hit the power switch to turn on the heater and wait for the unit to meet its set temp. The temperature dial on the front will slowly start to rise, and after about 90 seconds, the Plenty vaporizer will be ready to vape.